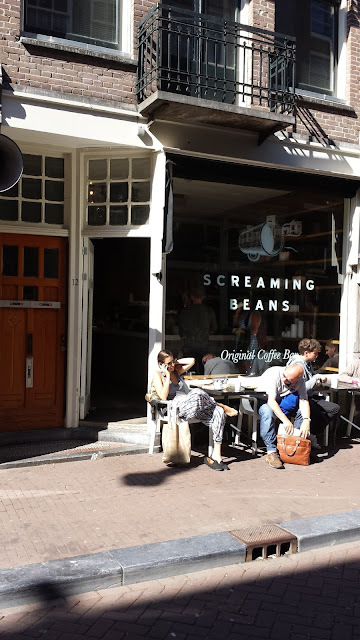 During my trip to Amsterdam I happened to stumble upon Screaming Beans. When I saw the name for some reason or another I knew I had read about this place or saw it recommended by someone. That someone was Colin Harmon at 3fe, Screaming Beans is the coffee of choice by 3fe on their international guide to coffee which you can find here. Putting all my trust in 3fe, I wandered in dragging Joanne in with me (yeah unfortunately for Joanne she doesn't like coffee). We were seated by some extremely nice staff . I made my order, being here under 3fe's recommendation I thought I would go for an espresso set. So I ordered a cappuccino and espresso of their Ethiopian Sidamo, and if I remember correctly we ordered a brownie to share. From this point on I now know why Screaming Beans comes so highly rated, the coffee was beautiful not to mention our sweet treat. 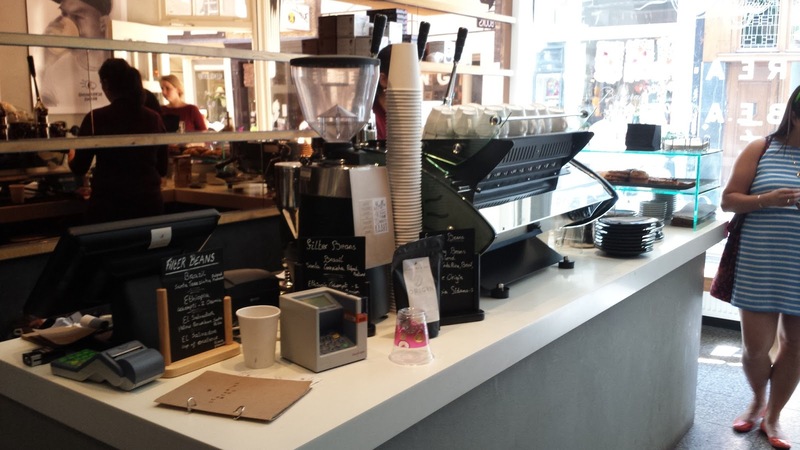 Screaming beans is fantastic, top notch staff, great coffee and gorgeous cake. I got talking to the girls as we left and told them where we had come from and how a coffee shop by the name of 3fe have recommended them to all and sundry in Ireland, they were naturally delighted. Go here if you are in Amsterdam it's in a little street by the name of Hartenstreet between the Keizersgracht and Herengracht (translated to the emperor's canal and the gentlemen's canal). You wont regret your visit trust me on that. Oh and while I am at it here is 3fe's website.